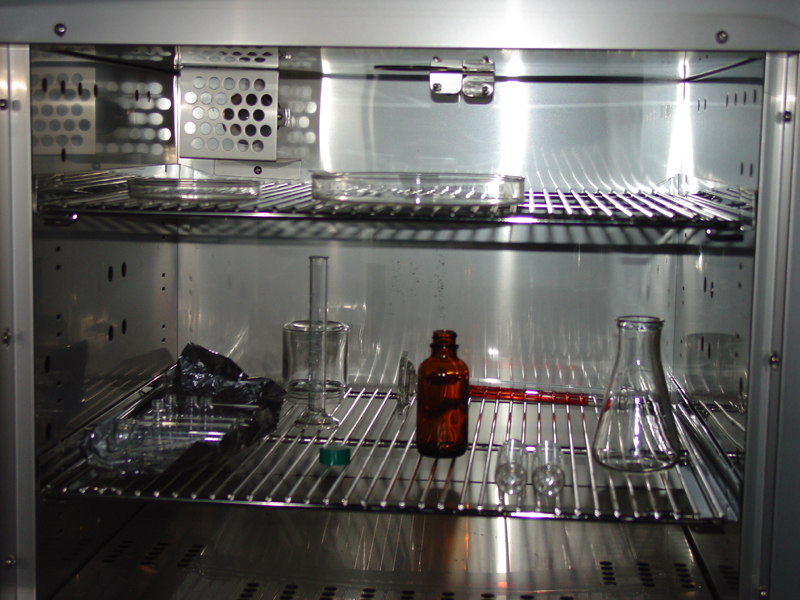 Our well-equipped surface preparation lab features standard wet-lab capabilities, plus additional tools for biology, including two microscopes, a high-speed centrifuge, a digitally-controlled oven, and generous cold storage space. 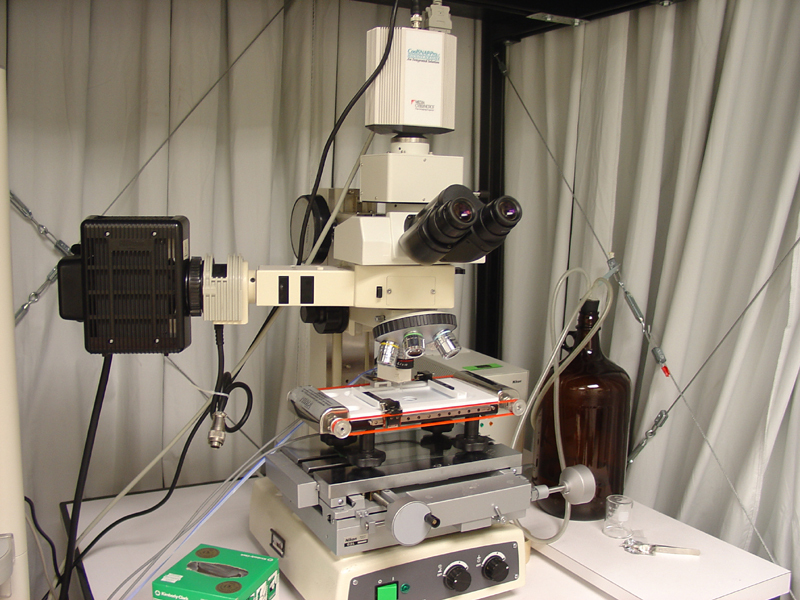 Instruments that our group has regular access to, but are not housed in our space include, a chemical deposition chamber, an atomic force microscope (AFM), a zeta potential measurement unit. 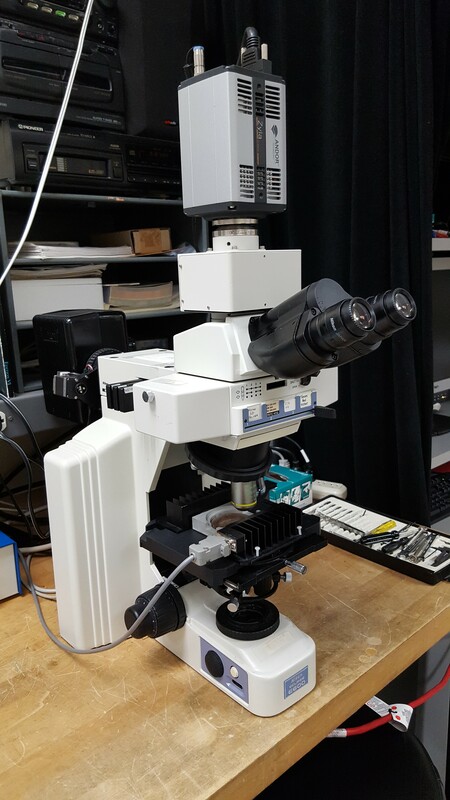 Our lab is also capable of facilitating precise surface micropatterning using ultraviolet (UV) photolithography and is equipped with a UV-ozone cleaner (images not shown). 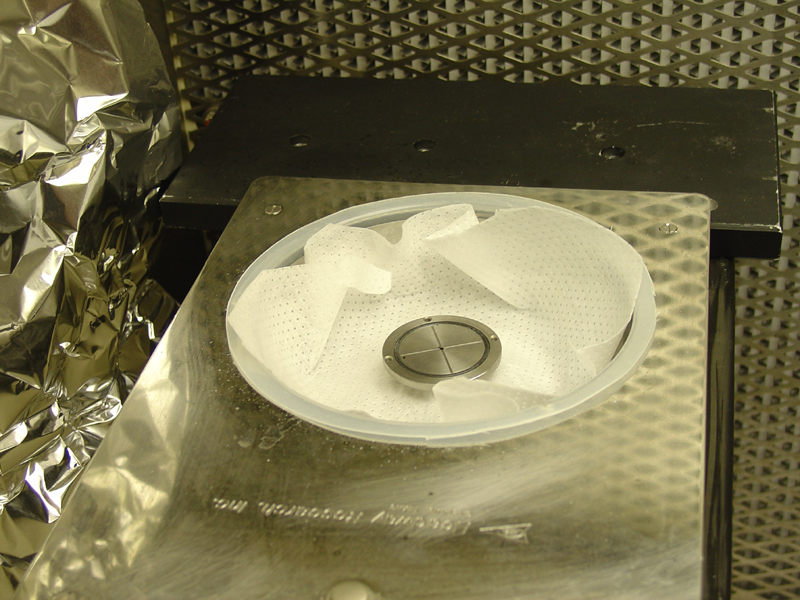 Used for coating monomolecular thin films onto substrates and for characterizing their phase behavior at the air-water interface. 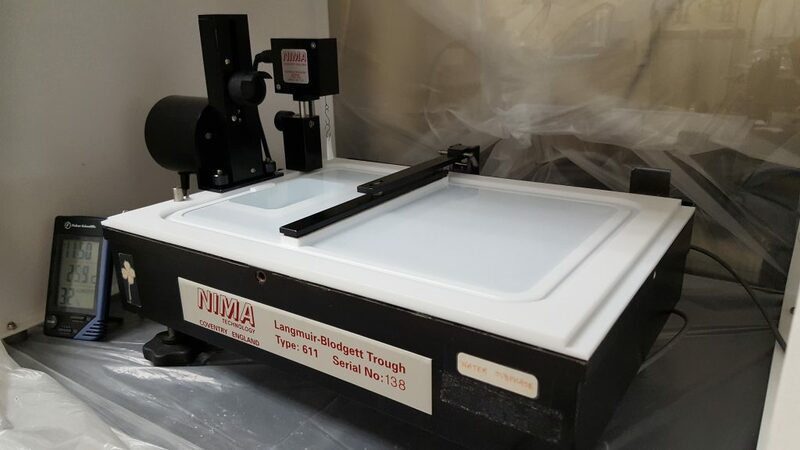 We are also equipped with smaller troughs for fluorescent microscopy and diffusion coefficient measurements at the air-water interface. Our two Nikon microscopes provide fluorescent imaging with both near and far working distances, each with a full range of objectives, including water and oil immersion lenses, a well-equipped library of interchangeable fluorescent filters, vibration isolation, and a temperature-controlled stage. Each can be combined with a small Langmuir trough for simultaneous imaging of the phase behavior of surfactants at the air-water interface (shown on left). 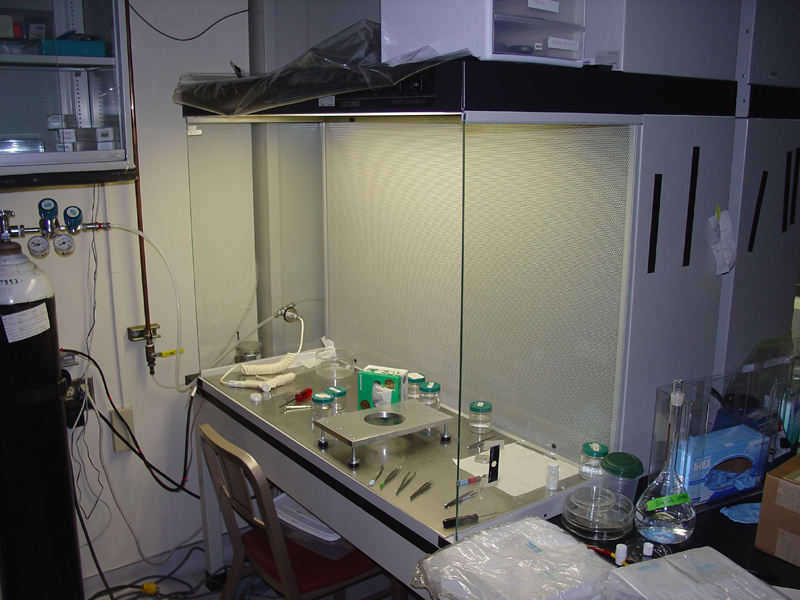 Much work is performed in laminar flow boxes which qualify as Class 100 clean environments. Their simplicity and small size permits a level of cleanliness that often surpasses that of some full-scale clean rooms. 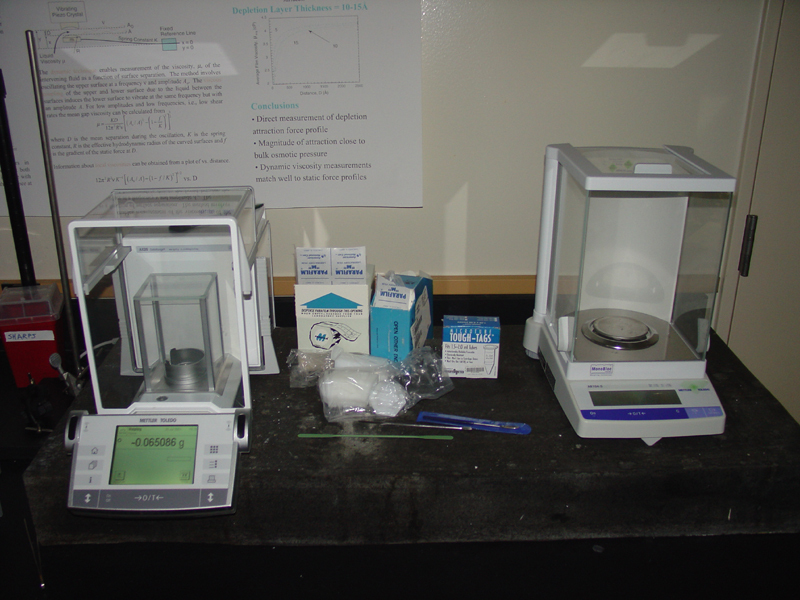 Enthroned on artificial stone weighing 150 pounds, our microbalances enable accurate weighing down to 0.000001 grams. Two high temperature vacuums, both with digital control and one with 10^-2 torr vacuum capabilities, facilitate physical and chemical materials processing. 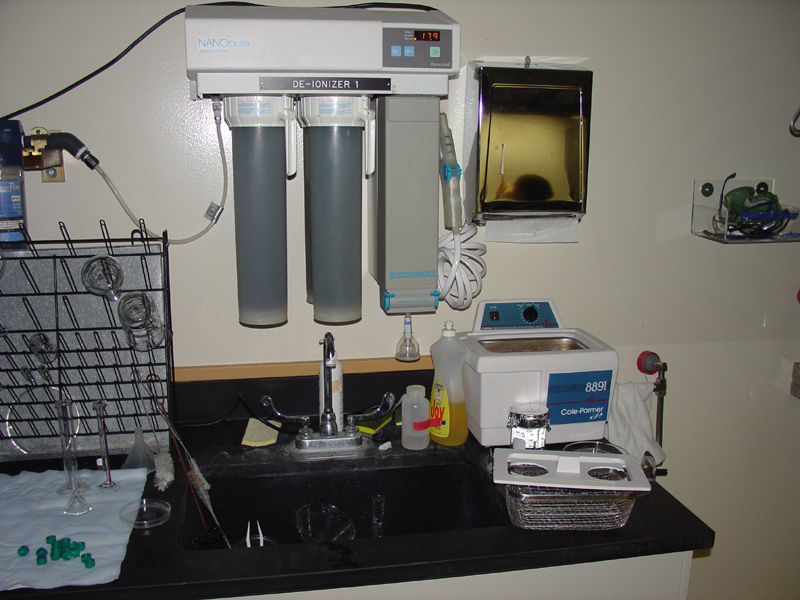 We eliminate impurities in our laboratory water supply through a four-point filtration process terminating in this nano-pure filtration unit that adds an extra two levels of filtration. Typically we use only reagents of the purest quality to minimize contamination during sample preparation. We often utilize spin-coating techniques to form thin films from materials dissolved in volatile solvents.